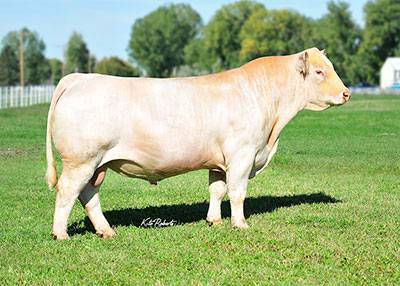 LT Patriot was the high selling bull in the 2015 Lindskov-Thiel Ranch Bull Sale at $105,000. To date, he is perhaps the most complete Ledger son we've produced. His dam is double-bred to LT Silver Distance 5342, a female maker and a former AICA Multiple Trait and Milk Trait leader. From his strong head to extra width behind, Patriot offers breed-leading quality.